With wildcards being activated and season-long relationships being viciously terminated (it’s not you Lucas Digne, it’s my unhealthy need to win), you know we’re at the business end of the season. Double Gameweek 35 is nearing, and you don’t need me to tell you how pivotal planning will be. But gameweek 34 is a weird sort of fixtures purgatory. In isolation, this gameweek has tantalising fixtures for Tottenham, Leicester and even a double for Brighton! Oh and Cardiff, I guess. Thankfully this article exists within this fixtures purgatory. But for those not on a wildcard and contemplating free transfers, the majority of this week’s captaincy contenders offer some DGW35 value too. NB. There are no Man City players in this list; it’s not an oversight. Better minds than me have presumed City’s starting XI and failed – I’d rather trust in (the more likely) nailed-on players this week. > Unlikely to play the whole 90 minutes, in my opinion. This spot was originally Harry Kane’s. But the owner of the most frustrating ankle in the UK decided to lunge into Fabian Delph days before arguably Spurs’s easiest fixture of the season. The FPL gods really don’t give a damn, do they? So Son gets the #1 nod because Huddersfield are ripe for a battering. They’ve conceded 10 in their last three and lost 10 of their last 11. Son scored Spurs’s first at the Tottenham Hotspur Stadium (a sponsor can’t come quickly enough), and his Champions League goal vs. Man City was brilliant. His record without Kane this season is brilliant too. In the five games Kane hasn’t started in the Premier League, Son has scored four and got an assist. Harry who? The South Korean will of course be required to line-up against Man City in the Champions League next week, so he likely won’t see out the full 90 minutes. But with Spurs chasing the top four, expect Son to start. And expect him to do damage. Like relying on Gordon Strachan to say stupid things, you can always rely on the Vardy party. Last week’s #2 pick was at it again in GW33, racking up 16 points – the highest score of the gameweek. The Leicester striker enters GW34 as arguably the in-form striker in the Premier League. Only Sergio Aguero (10) has more top-flight goals in 2019 than Vardy (9), and his brace against the Terriers made it seven goals in his last six. With the Brendan Rodgers effect in devastating force (4 straight wins), Vardy’s firecracker form poses a serious dilemma for those playing their wildcard. 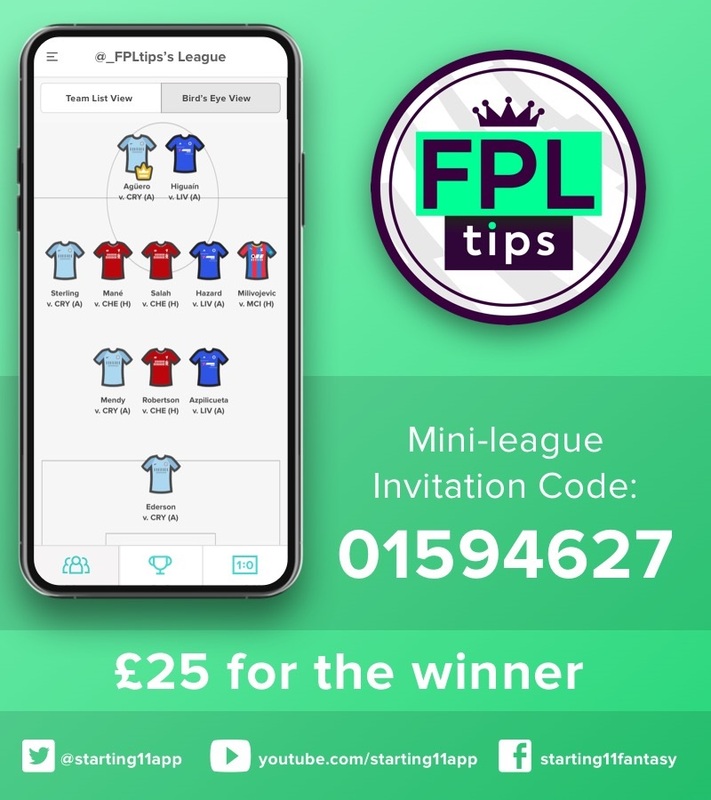 The Foxes’ fixtures toughen up from GW36, but the arrival of Newcastle to the King Power Stadium – where Leicester have won three straight – could be the perfect Vardy after-party. The not-yet-safe Newcastle are without a clean sheet in their last five, conceding 10 in those games. Vardy scored in the reverse fixture and with these teams in contrasting form; sticking with Vardy for one more week could pay off. For one week only, Brighton could have feasibly featured numerous times in a captains list (and not because of who we’re backing to score against them). Unfortunately though, their strikers and midfielders are enduring a collective loss of form that makes even Fulham’s assets more appealing, and therefore there’s only really three names that could be on this list. Mat Ryan, Shane Duffy and Lewis Dunk have the distinct advantage of most likely playing both of these games. They’re also both at the Amex Stadium, and Brighton have conceded the sixth-fewest home goals this season (16). In fact, Brighton’s home xGA of 19.16 is better than Arsenal and Tottenham. And all but one of their six clean sheets this season have come on home ground. Admittedly, six clean sheets this season isn’t all that inspiring. So it might help to look other factors. For goals, look no further than Duffy. The Irishman has scored five times this season, setting up two. Dunk, meanwhile, has scored twice. If you’re looking at Ryan, his 74 saves made doesn’t suggest he’s going to rake in the save points, especially considering that Bournemouth and Cardiff have scored just 24 away goals between them this season. But it is Brighton’s opponents’ struggles on the road that endear Ryan, Duffy and Dunk – and while it could be a case of strike it lucky between the trio, the Seagulls are strong enough to home to merit the biggest of punts. With two assists and a goal in his last four, Salah maybe isn’t in the dire form he has been accused of. But his £13.2m price tag makes all the difference, and more has been expected, rightly or wrongly, from the man who broke the FPL total points record last season. This spot could be afforded to one of Salah, Sadio Mane or Roberto Firmino. The latter two are in better goalscoring form, but Salah’s ridiculous xG of 18.81 and xA of 9.16 overshadows his team-mates; his xG is the highest this season. And it’s his general liveliness I’m backing against Chelsea. The pressure remains firmly on Liverpool ahead of the Blues’ visit, but it shouldn’t be forgotten how lethal they are at Anfield. Prior to beating Spurs, they scored five and four goals respectively against Burnley and Watford, and we all know how feckless Chelsea have been on the road this season, conceding more (24) than they’ve scored (23). Salah’s record at home reads just one blank in four, and the Anfield advantage is a significant mark in the plus column for captaining the Egyptian. I have a confession to make. In a late panicky switch I moved the armband from Mane to Hazard last week. And it worked superbly. In similar form I’ve switched the armband erratically on my wildcard, but at the time of writing it’s still on Son. I expect him to build upon his recent good form and further punish the already-relegated Terriers.